What's the Most Expensive Cut for a Diamond? What’s the Most Expensive Cut for a Diamond? The 4Cs influence the price of every stone. 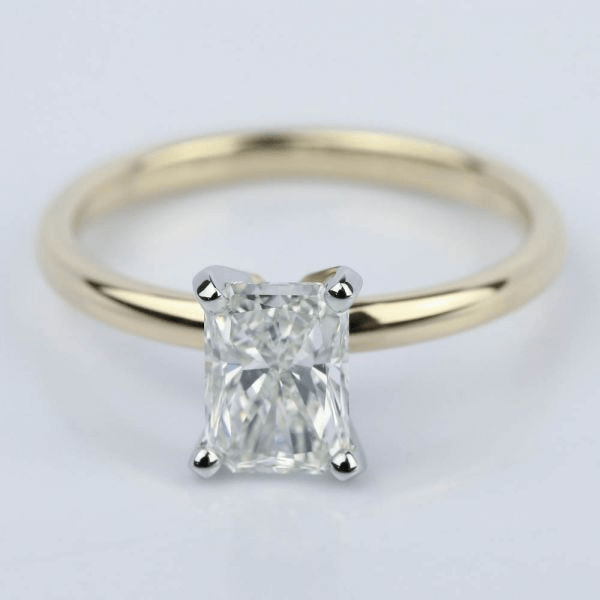 A flawless, perfectly clear, well-proportioned stone will cost much more than a flawed diamond of the same carat weight. However, the diamond market works around supply and demand, and the demand for brilliance and the supply of rough diamonds nudge certain shapes (or diamond cuts) into a higher price range. The answer to this question, simply put, is the round brilliant. Buyers want their stones to sparkle, and round brilliant diamonds deliver. By far, brides prefer a round brilliant diamond as their engagement ring centerpiece to any other shape. Seventy-five percent of all diamonds sold (and over fifty-five percent of diamonds sold in the U.S.) are round brilliant diamonds. Because this shape is so popular, it’s not hard to find a wide variety of engagement rings with round brilliant diamonds. However, the popularity of this shape also drives up the price. The cut features 58 facets, perfected with precise calculations. The facets act like little prisms, drawing in light and reflecting it into spectacular sparkles. Brides love that this cut will sparkle and shine from across the room regardless of the size of the diamond. But the main reason that round diamonds are more expensive than other shapes is that cutting a round diamond results in more loss of the original rough stone than cutting any other shape. Because so much of the rough diamond goes to waste during the cutting process, round diamonds are the most expensive diamond shape to produce, and that impacts the price even more than the demand. The princess cut is the second most popular diamond shape. Princess cuts offer a modern look but also fit well with traditional settings. The catch? The cut must have a very specific length-to-width ratio to create a symmetrical square — anything less decreases the diamond’s overall value. The cut of the stone may highlight a lower color grade, but it also masks imperfections. Princess cut diamonds are incredibly brilliant, so the light travels throughout the stone and creates a blinding sparkle that hides inclusions. However, it’s important to avoid purchasing a princess cut diamond with inclusions located in the corners even if they are not visible to the naked eye. The corners of a princess cut diamond are already vulnerable to snags, and inclusions weaken this part of the diamond even further. If there are inclusions in the corners, the diamond could chip if it catches on your clothing or anywhere else. 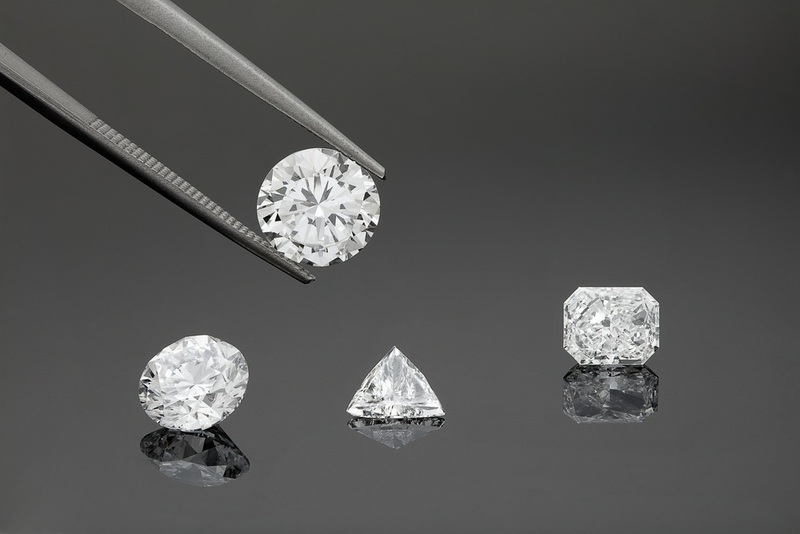 Unlike round cut diamonds, princess diamonds retain most of the original diamond’s weight, so not much of the rough diamond is wasted during the cutting process. 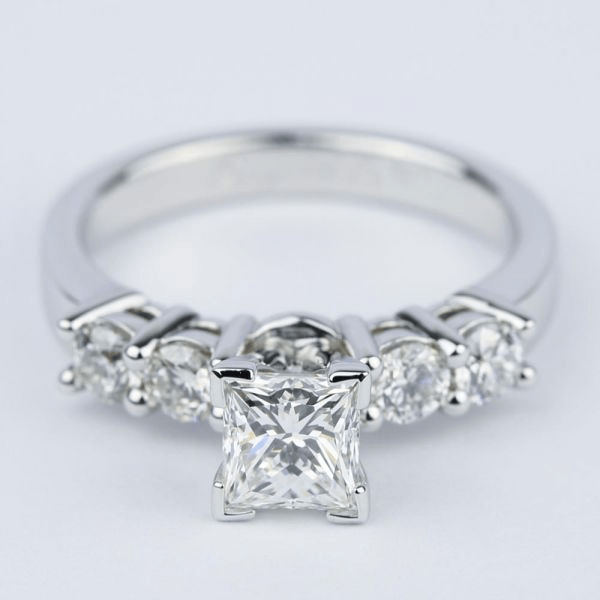 This allows princess cut diamonds to sit fairly low on the overall price scale compared to other diamond shapes. 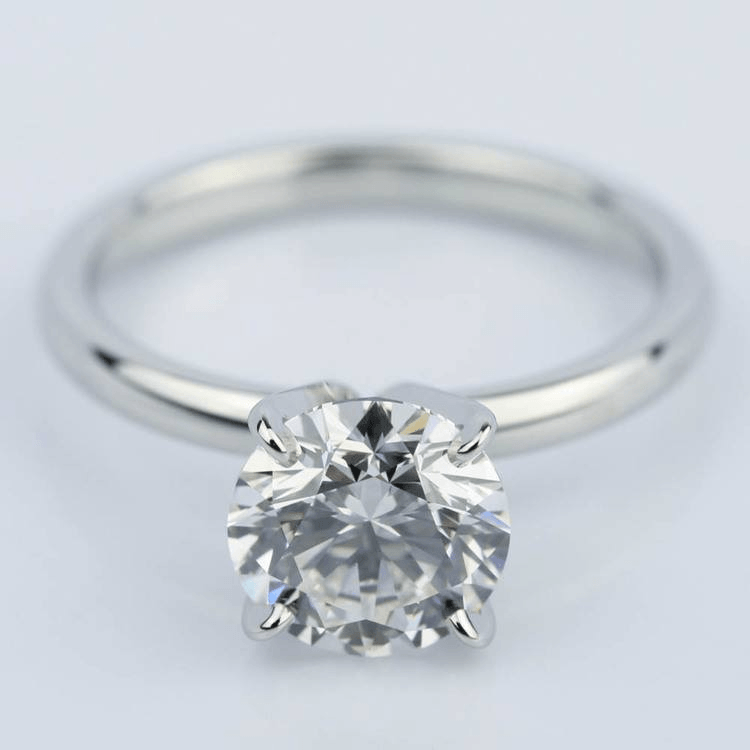 The oval cut is similar to the round brilliant, but it has a more elongated shape. The oval’s elongated shape doesn’t allow light to refract as precisely as in a round stone, so it does not have the same brilliance. 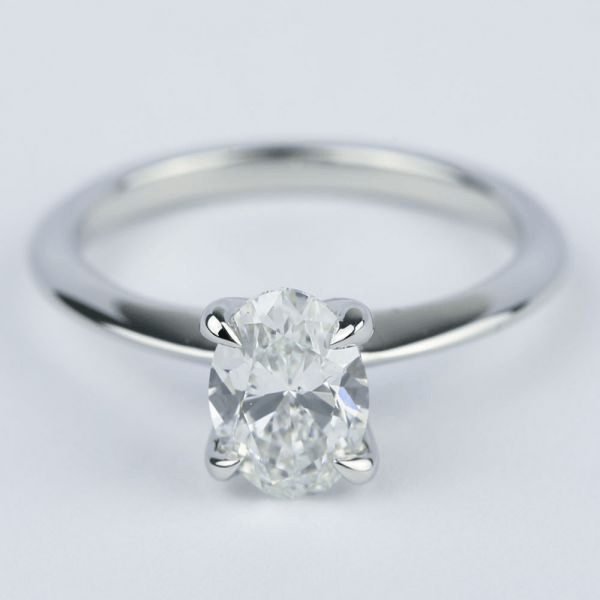 However, the length of the cut does give the illusion of a higher carat weight. 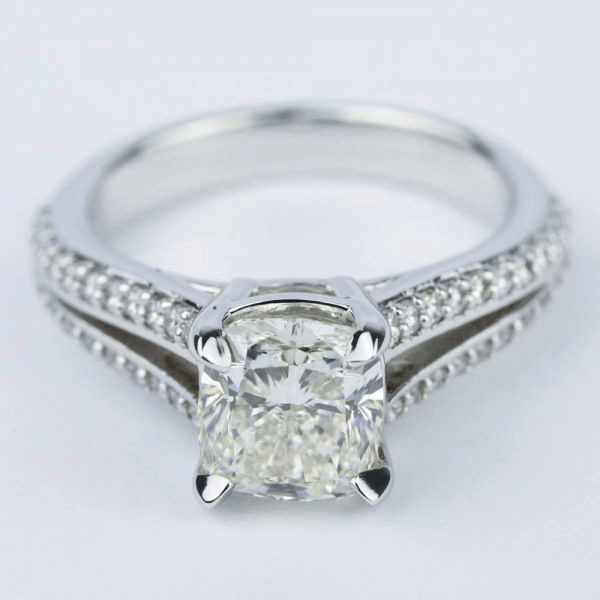 For this reason, the oval is perfect for buyers who want sparkle and the look of a larger stone. The lower popularity of the oval stone impacts its price, and these stones are often much less expensive than other shapes. This shape boasts 70 facets, which exude pure…radiance! Radiant diamonds bring together the fire of a round brilliant with the shape and shine of an emerald cut. While those numerous facets radiate with vibrant shine and fire, the cut may draw attention to a lower color grade. That’s why Brilliance recommends a high color grade for this shape. Radiant diamonds are usually lower in price compared to other shapes at the same carat weight. There are a group of diamond shapes that are referred to as the “fancy shapes.” Despite its fancy name, these diamond shapes are not as expensive as some of the other cuts.In fact, all of these fancy shapes have a brilliant-inspired cut, but they are more budget-friendly than round stones. The longer shapes (marquise & pear) must be cut with precision to ensure a proper ratio between the stone’s length and width. If the ratio is correct, elongated shapes like the pear and marquise will make fingers appear thinner and diamonds appear larger. 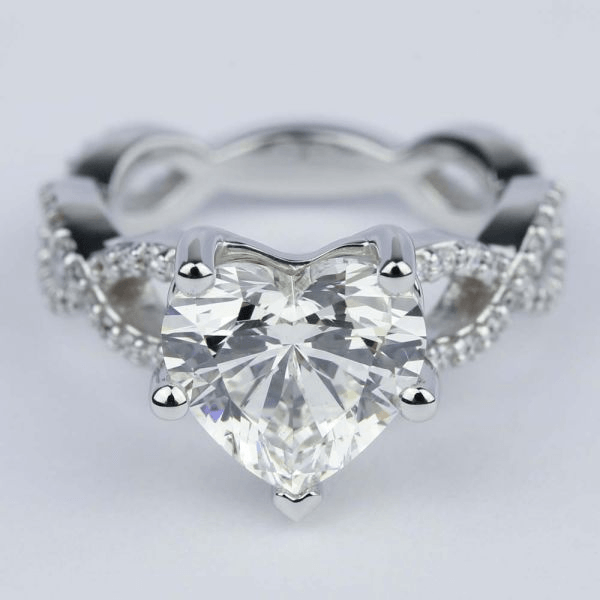 On the other hand, heart-shaped diamonds should be larger in carat weight so that the curves of the shape are fully visible. Of course, a larger carat weight will increase the price. Several diamonds are referred to as vintage shapes because they have been popular for decades—sometimes even centuries. These shapes may have been created long ago, but they are still in high demand today. Fortunately, the vintage shapes are among the most affordable diamond cuts available. Cushion cuts are an older cut sometimes referred to as a pillow cut. Originally, cushion-cut diamonds featured step facets instead of the brilliant cut that is used today. Many celebrities have selected cushion cut diamonds for the shape’s vintage inspiration. Emerald and Asscher cuts are the only two “popular” diamond shapes that still feature step facets. These shapes aren’t as fiery and sparkly as others, but are known for their sophistication. Asscher and emerald shapes are often used in vintage-inspired engagement ring settings. While they aren’t the most common cuts, they make a unique and stunning statement. These shapes are typically affordable as well, which is one of the many reasons why women have continued to wear them for so long. The round brilliant diamond continues to reign supreme both in popularity and price. Although more brides desire the round brilliant for their engagement rings, other brilliant cuts like the oval, princess, and radiant offer the same beautiful sparkle for less money. Buyers who opt for unique designs gravitate toward other fancy shapes and the vintage-inspired cuts. See how the price of these cuts compare in this easy-to-read infographic that highlights the most expensive cuts for diamonds. Of course, price is only one of the factors that should be taken into consideration when choosing a diamond. Your style, lifestyle, and personality are the true deciding factors when shopping for that ideal diamond. Remember, the perfect diamond is always the diamond you like best!